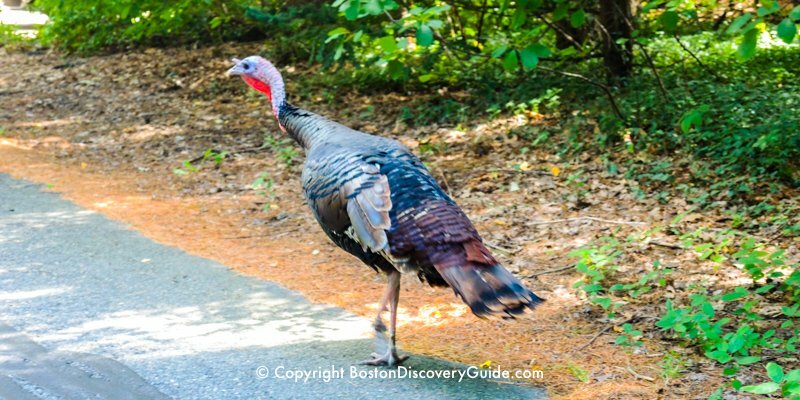 Wondering what to do in Boston after Thanksgiving Dinner? 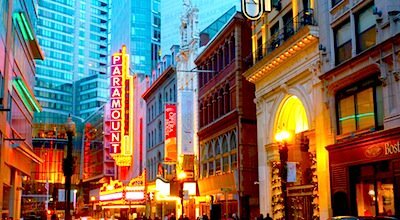 Find out about the top Thanksgiving events and activities happening in Boston throughout the holiday weekend. 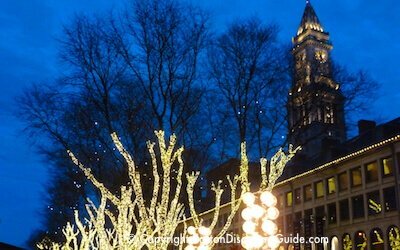 If you're spending Thanksgiving in Boston, you'll find plenty of fun things to do throughout the long weekend: Black Friday bargain shopping, a Bruins game at TD Garden, sparkling displays of Christmas lights at Faneuil Hall Marketplace, ice skating on Frog Pond, and plenty more. You can even hit the ski slopes, especially north of the city. And of course, don't forget Thanksgiving Dinner! 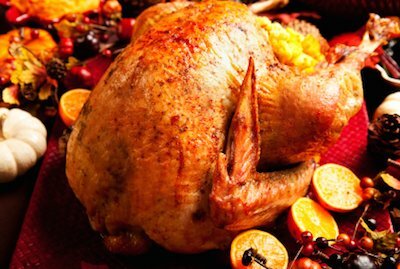 Turkey takes center stage as Boston restaurants serve delicious Thanksgiving dinners - but you'll find plenty of non-traditional and vegetarian options as well. 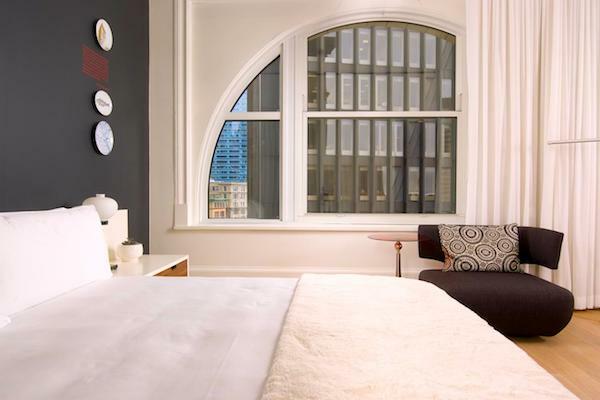 You'll find a lot of choices - everything from elegant 3- and 4-course spreads to lavish buffets. 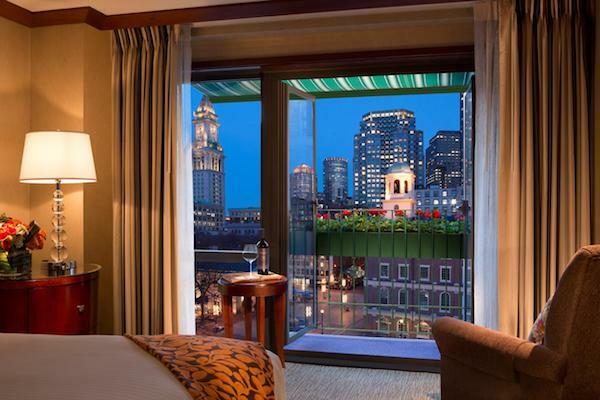 Check our guide to tasty Boston Thanksgiving dinner choices and make reservations. 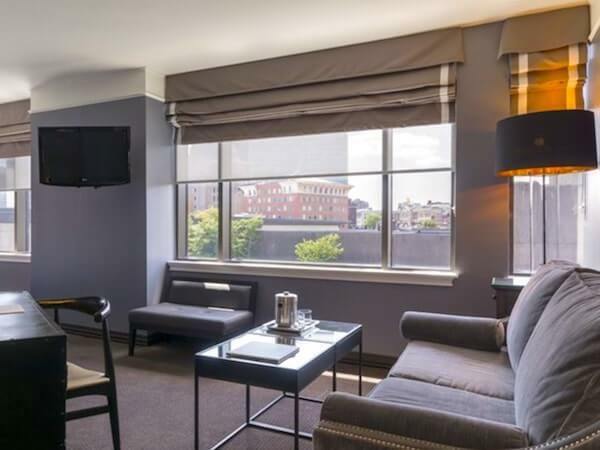 After dinner, work off those calories by exploring historic Beacon Hill, strolling along Boston's Freedom Trail, or relaxing on the Rose Kennedy Greenway. Want to find piles of leaves to play in like those in the photo at the top of the page? 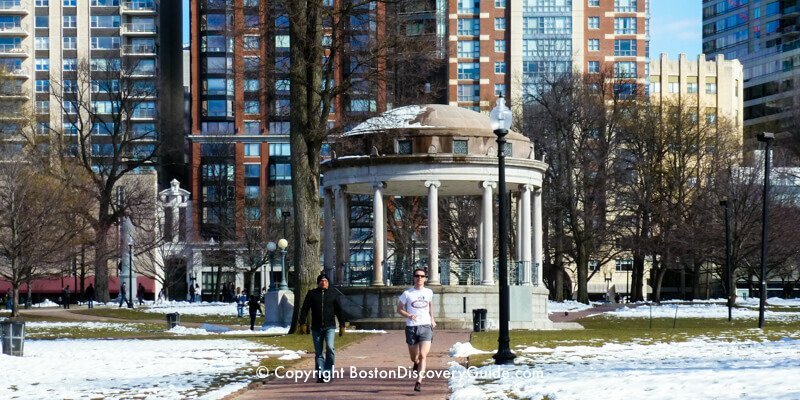 Head to Boston Common. 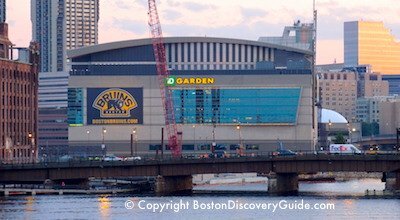 Thanksgiving and watching games go together - and with TD Garden's convenient in-town location, attending a Boston Bruins or Boston Celtics game or even a concert couldn't be easier. 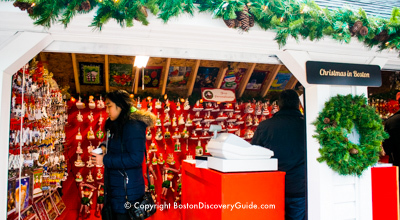 Get into the spirit of the holiday season by stopping by Faneuil Hall Marketplace. Although the Marketplace's music and light show Blink! and festive Christmas tree lights won't start until next week, you'll see plenty of decorations in the stores and restaurants. Faneuil Marketplace is closed on Thanksgiving Day but open throughout the rest of the weekend. Friday will be crazy but fun due to Black Friday bargains and shoppers, one of the biggest post-Thanksgiving events in Boston. Shop for unique gifts with a Boston flavor, and enjoy the Marketplace's famous street performers. Enjoy the Annual Tuba Christmas Concert (150+ tubas!) on Saturday (check our November Events page to confirm date/time). 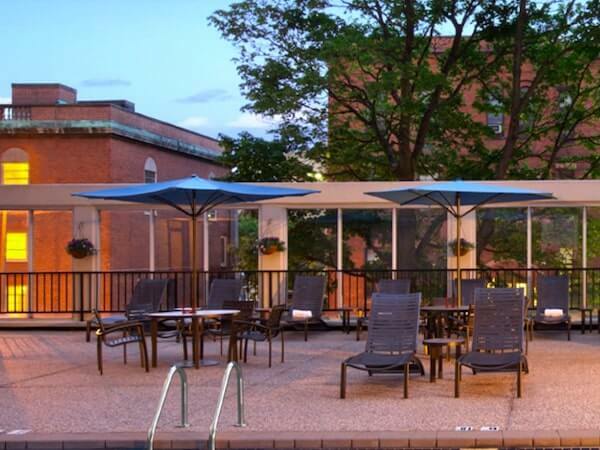 Visit historic taverns right around the corner and sample authentic New England clam chowder at North 26 across the street at the Bostonian Boston Hotel. Black Friday shopping doubles as a competitive sport, so be prepared to get up early - really early - to snag the biggest bargains. 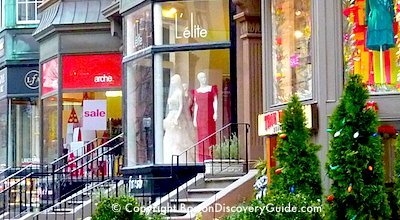 A favorite spot for prime Black Friday bargain-scoring territory in the middle of Boston is Newbury Street, where you'll find everything from designer boutiques to top-end consignment stores to big-box discounters such as H&M ... all competing for shoppers with low discount prices. 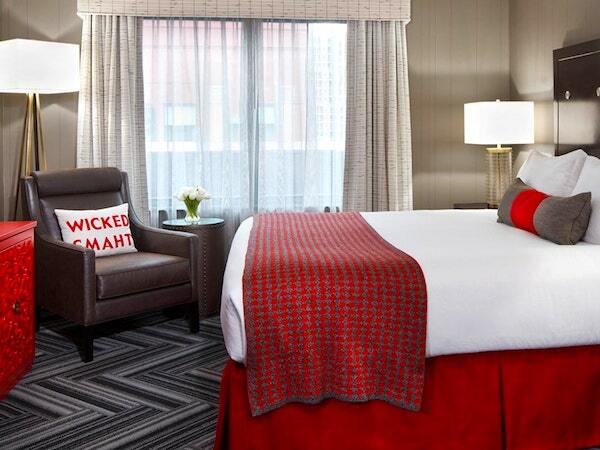 Look for big sales at nearby Prudential Center. 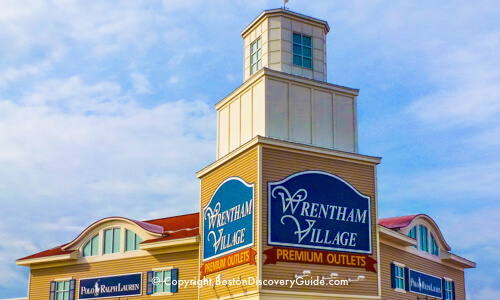 For the biggest bargains, head down to Wrentham Outlets - but expect massive crowds, so go very early to get parking, or relax while a luxury coach takes you there. For an alternative for outlet shopping, consider Assembly Row - only 5-10 minutes from Boston by subway. 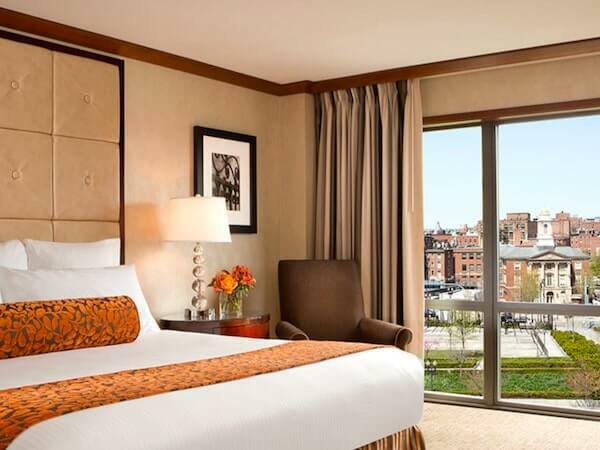 If you're visiting Boston for Thanksgiving weekend and looking for a place to stay, newly-opened The Row Hotel lets you everything this shopping/entertainment complex offers. With the fall theater and concert season in full swing, Thanksgiving is the ideal time to take a break from cooking, eating, and shopping, and attend an exciting performance. With the exception of Thanksgiving Day itself, you'll find lots of performances throughout the holiday weekend. 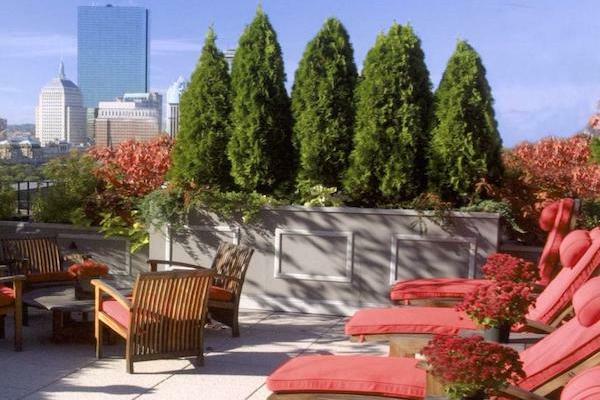 Missed Thanksgiving dinner at Boston's Top of the Hub Restaurant in Prudential Center? 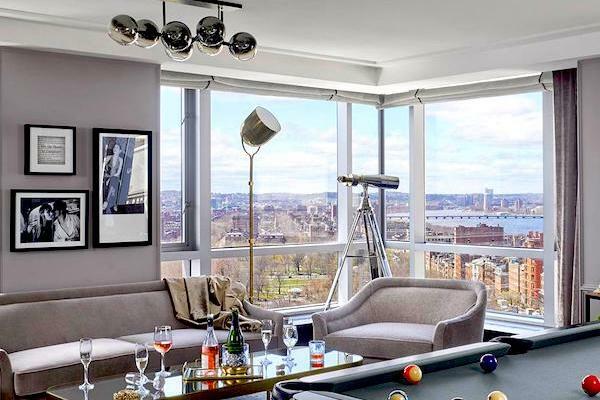 Go at some other point during the weekend to hear the legendary jazz trios (normally after 8pm), enjoy sweeping 52nd floor views of Boston, and dine on delicious casual food in the Lounge. 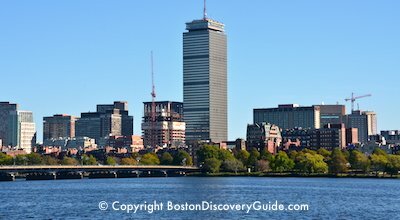 Another way to enjoy even better views: head up to the 54th floor Prudential Skywalk Observatory, also in Prudential Center. 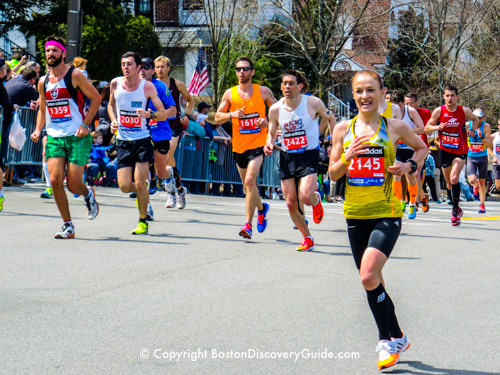 Enter free when you have a GoBoston Discount Card. Visit the site of the first Thanksgiving by making a day trip to where the Pilgrims first landed and settled back in 1620. Plymouth MA, just south of Boston, is where you can see the Pilgrim Monument and go on board a reproduction of the Mayflower ship that brought the Pilgrims to the New World. 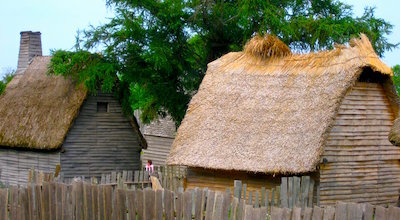 Best of all, you can explore Plimouth Plantation, an amazingly authentic re-creation of the Pilgrim's first settlement where actors play the role of each of the 17th century settlers and Wampanoag Nation members who helped them survive. Most convenient way to visit: Join this special Plimouth Plantation tour - you'll be picked up at your Boston hotel, and will get to visit Plimouth Plantation, Mayflower II, and explore the waterfront. 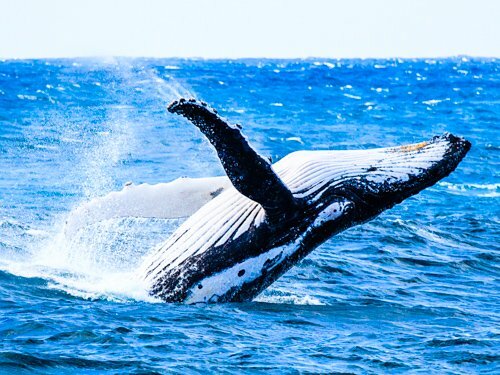 Includes pick-up, transportation, admission - a terrific deal! Free admission to Plimouth Plantation when you have a GoBoston Discount Card. Note: Plimouth Plantation is open through Sunday of Thanksgiving weekend, and then closes for the winter, reopening in mid-March - so don't miss this last chance to visit this year! New England ski areas open on Thanksgiving weekend include: Killington, Stowe Mountain Resort, Loon Mountain, Bretton Woods, Sunday River, and Sugarbush. 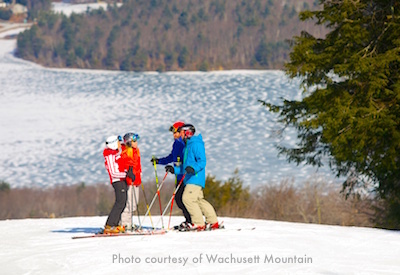 Several other resorts are opening earlier than usual, with at least some lifts and trails open before or just after Thanksgiving: Wachusett Mountain (open now; closed on Thanksgiving, and open again on Friday, 11/23) Jiminy Peake (opens 11/23) here in Massachusetts, Waterville Valley (11/23), and Sugarloaf (open now). Be sure to check conditions before heading to any of these ski resorts, because New England weather is tricky in November - although Thanksgiving Day in Boston this year is predicted to be the coldest on record. Although Frog Pond on Boston Common is not always open before Thanksgiving due to too-warm weather, it will be open this year except for Thanksgiving Day. 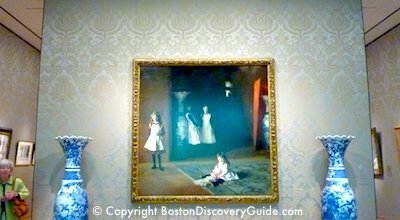 Boston museums are closed on Thanksgiving Day, but almost all major museums will be open for the rest of Thanksgiving weekend. 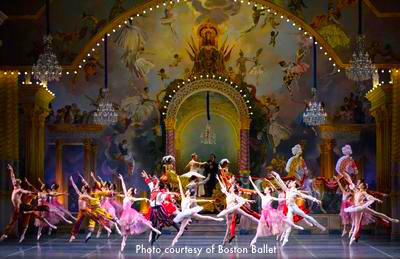 Get your holiday season off to a great start by getting tickets to the Boston Opera House for a soaring performance of Boston Ballet's The Nutcracker. Enchanting dancers, Tchaikovsky's magical music, and the beauty of the Boston Opera House will transport you to another world. Opening night is at the end of November this year, and performances continue throughout December. Boston's Winter Holiday Market & Ice Rink - Stay Tuned for 2019! Upgrades to City Hall Plaza have sidelined the Winter Holiday Market and ice rink on City Hall Plaza next to the Government Center T station for last year. A new and even better Winter Market is anticipated for 2019 - so stay tuned for details! Ice Skating on Frog Pond - Probably won't be cold enough in November to open - but check it out in December!